Fast twin spin Jiver with wild sax, guitar and pounding piano. Country music has a long history in Canada. Although country music is generally thought of as a product of the southern U.S., many Canadians shared a commonality with their cousins south of the border through a mutual Anglo-Celtic folk ballad tradition, agricultural lifestyles, and even a shared 'cowboy' mythology concerning the western frontier. Early country radio shows on U.S. clear channel stations like WLS, Chicago had no trouble crossing the border and finding their way into the radios of Canadian listeners, and records by many early U.S. country stars like Jimmie Rodgers sold well in Canada. Wilf Carter, 'the father of Canadian country music,' made his first recordings in 1932, inspiring many other Canadian singers to follow in his bootprints. Although country music was popular on both sides of the 49th parallel, when it came to the success of individual artists, the border seemed to work only one-way for many years. U.S. country artists found followings in Canada through record sales and personal appearances, but very few Canadian singers were able to do the same in the U.S. Wilf Carter was able to achieve a limited amount of success in the States under the Yankee-ized non de plume of 'Montana Slim.' But the first truly successful country singer from north of the border was Hank Snow, who began an incredible run of smash hits starting with his 1950 recording of I'm Movin' On. While one might think that Snow's incredible success led to American record companies casting an eye to the North for potential talent, this was not the case. 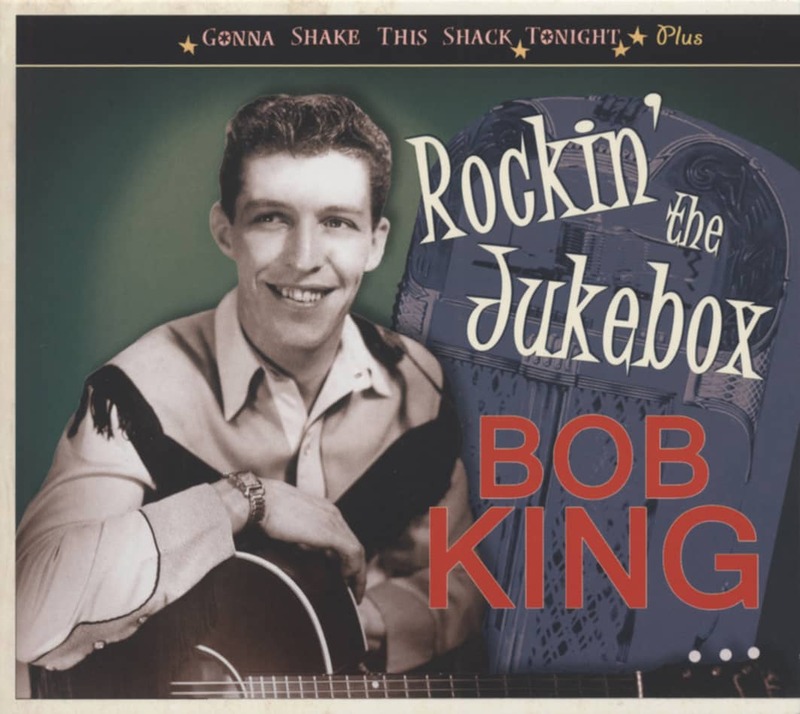 Even as Hank Snow cranked out one hit after another in the early 1950s, younger, and very talented Canadian artists like Bob King found little interest for their music in the U.S.
Robert George King was born in Ottawa, Canada on January 6, 1934. His mother, Katie Brown King emigrated from the United Kingdom to Canada during the First World War. Bob's father, a native Canadian named Roy King, abandoned his wife and son and moved to the U.S. when Bob was only three years old. Bob's mother soon remarried and they moved to a farm in the Joyceville area, outside Kingston, Ontario where Bob spent most of his childhood years. The family later moved north to nearby Ottawa after a fire destroyed their home. From an early age, King showed an interest in music and in particular country music. As one might expect, his first musical heroes were Canada's two top country singers, Wilf Carter and Hank Snow. By the time he was in his mid-teens, his primary musical idol was Hank Williams. Shortly after leaving high school, King formed his own band, the Country Kings and they began playing south of Ottawa, mostly in the Smith Falls and Kingston area. Like many country singers his age, King's music reflected the influence of the new honky tonk style that Hank Williams helped to popularize on both sides of the border. It was a sound that was popular with local audiences, and King began to draw a larger following. By 1954, King was managed by Ottawa deejay 'Long' John Corrigan. It was an arrangement that paid off when Corrigan brought him to the attention of the president of RCA Victor's Canadian division, Hugh Joseph, the same man that had signed Hank Snow to his first recording contract. 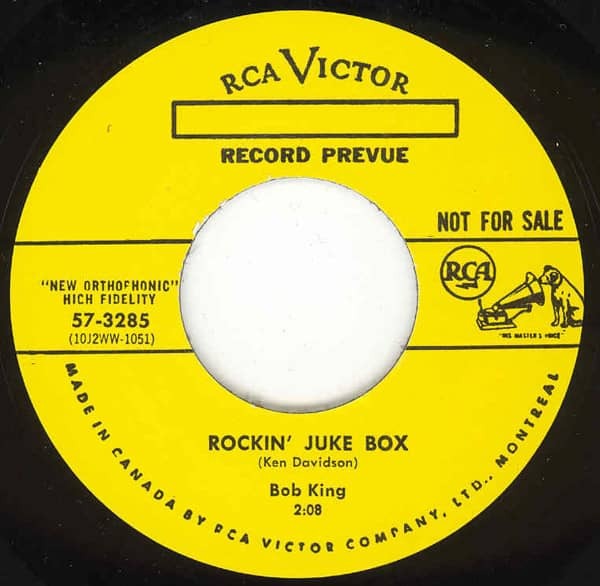 On February 4, 1955, Bob King signed a contract with RCA Canada and just ten days later entered the studio for his first recording session. At that session, King recorded four of his own compositions. The ethereal love song, Laurel Lee, reflected the traditional sound of cowboy love ballads a la Wilf Carter and Hank Snow's earlier recordings. It quickly became a regional hit, selling over 40,000 copies in Ottawa and surrounding areas. The other three songs from the session reflected various aspects of the newer, honky tonk style – the playful blue yodel of Daydreamer's Blues, the heartbreak ballad, You're A Strange Little Girl, and the sock rhythm hillbilly bop of Katie Brown. Shortly after the release of Laurel Lee, John Corrigan arranged for King to travel south to the U.S. and join the cast of the WWVA 'Wheeling Jamboree.' Based in Wheeling, West Virginia, with a powerful 50,000 watt signal, WWVA could be heard across most of the northeastern U.S. and into many parts of Canada. For Canadian country music fans, the stars of the 'Wheeling Jamboree' – Wilma Lee and Stoney Cooper, Doc and Chickie Williams, Hawkshaw Hawkins, and many others – were bigger stars than the cast of the 'Grand Ole Opry. ''Jamboree' cast members toured Canada frequently, and it was through these tours that John Corrigan built a friendship with many of the performers and was able to negotiate the deal for King. Bob King was welcomed as a solo performer and as a member of Wilma Lee and Stoney Cooper's band, the Clinch Mountain Clan. For King, just twenty-one years old, it must have seemed like he was on the fast track to success. But being a hillbilly singer in a strange land proved more challenging than he expected as homesickness set in. He stayed with the Coopers for several months, appearing on the weekly broadcasts and accompanying them on tours of Pennsylvania, New York and Eastern Canada, but eventually he decided to return to Ottawa. At the time, it looked like King was passing up a golden opportunity, but as it turned out his timing was just right to secure an even bigger following back home. As King returned to the Ottawa area, Ken Reynolds was hired by radio station CFRA in Ottawa to head their entertainment bureau. Reynolds was a former booker and road manager for Wilf Carter, and one of his first tasks was to assemble a house band to headline CFRA's live country music show and make personal appearances on behalf of the station. 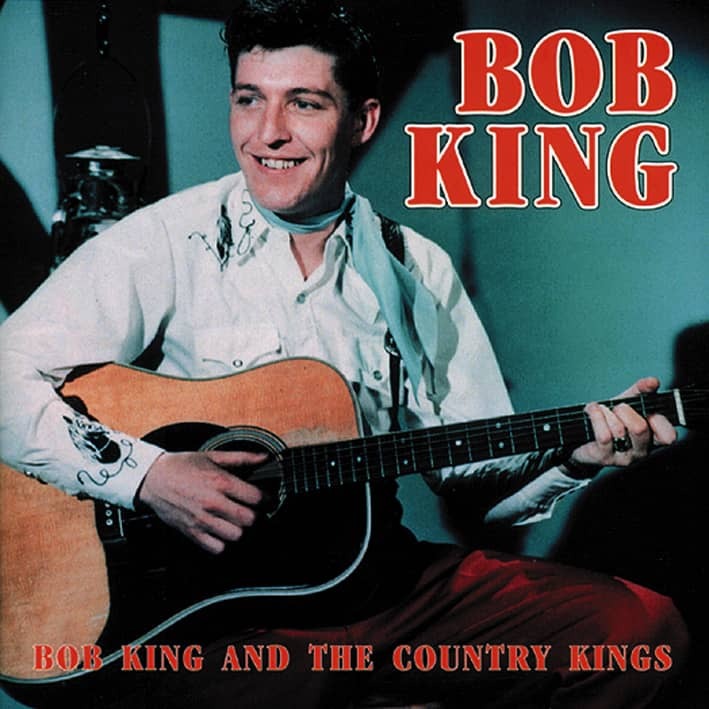 He immediately hired several veteran musicians, but for the lead singer of 'The Happy Wanderers,' as the group became known, he turned to the young, up and coming star, Bob King. The position guaranteed daily on-air exposure for King and some of the best bookings for live appearances in the Ottawa Valley, Eastern Ontario, Quebec and even across the border into upstate New York. Customer evaluation for "Rockin' Juke Box - Party Hop"